Observation - Growth on Camellia - UK and Ireland. 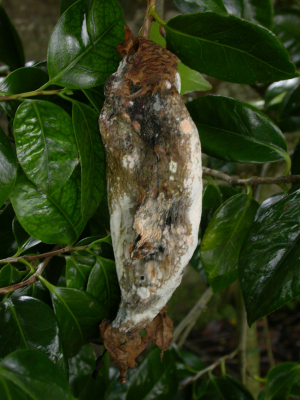 Description: 20cm long growth seemingly coming from the bud of an otherwise healthy Camellia bush. Is it a gall of some sort? Or a virus? Or a fungus? 20cm long growth seemingly coming from the bud of an otherwise healthy Camellia bush. Is it a gall of some sort? Or a virus? Or a fungus?